Tasso Cocoves presents his research project on white ibis prey in the southern Everglades. He won the symposium for the Master level category. Students from the PhD, Masters, and Undergraduate levels had to present to a panel of judges, as well as answer peer questions. David Giguere presents his presentation, which is the basis for his discertation on billingual language development. 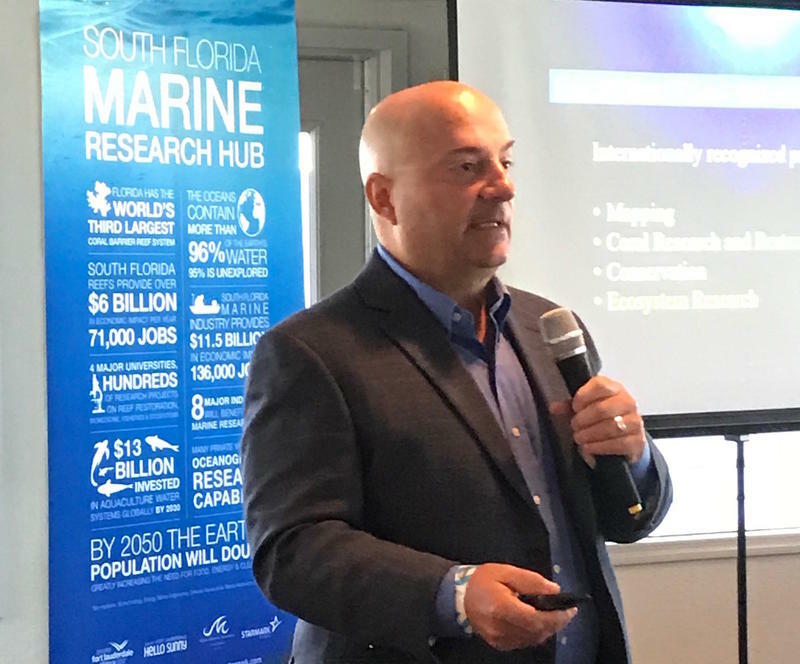 When it comes to changing the way cancer drug therapies work or studying language skills development, or even how bird populations migrate around the Everglades for more food, Florida Atlantic University research students are looking for solutions. 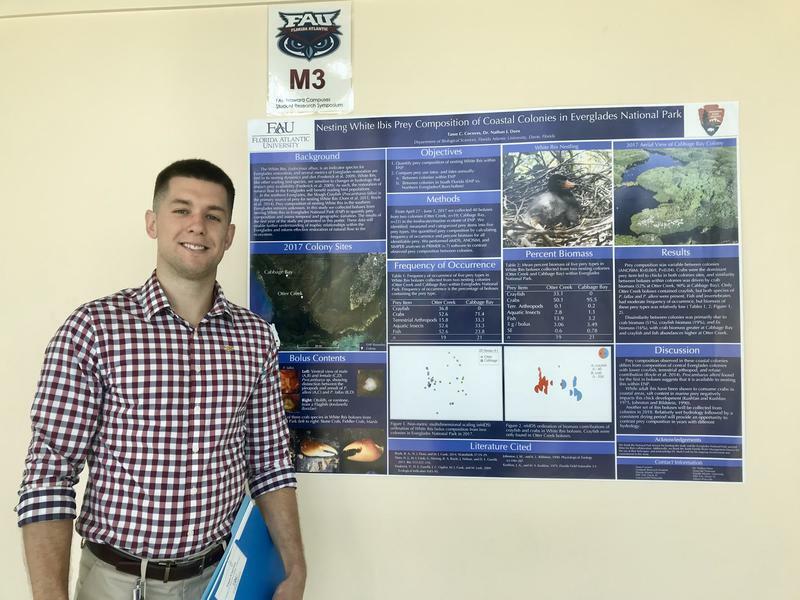 Tasso Cocoves is in his second year of getting a master's degree in environmental science at FAU. At a research symposium on FAU’s Davie campus Friday, he presented to a panel of judges. 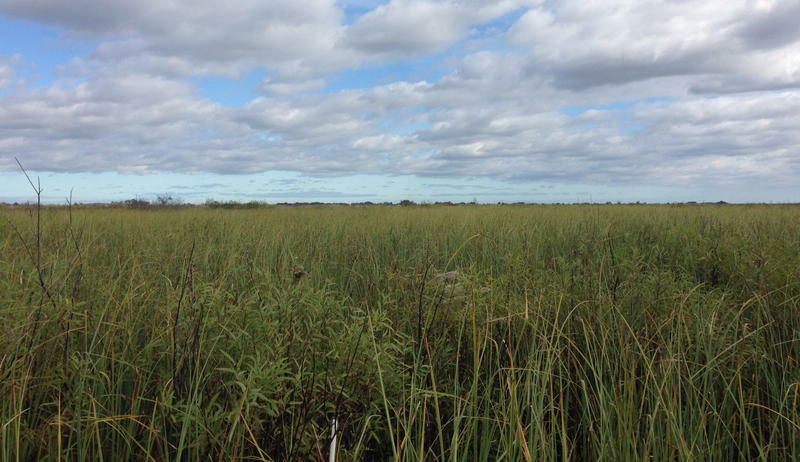 His project tracks white ibis prey in the Southern Everglades. He suspects ibis diets are shifting because of climate change. 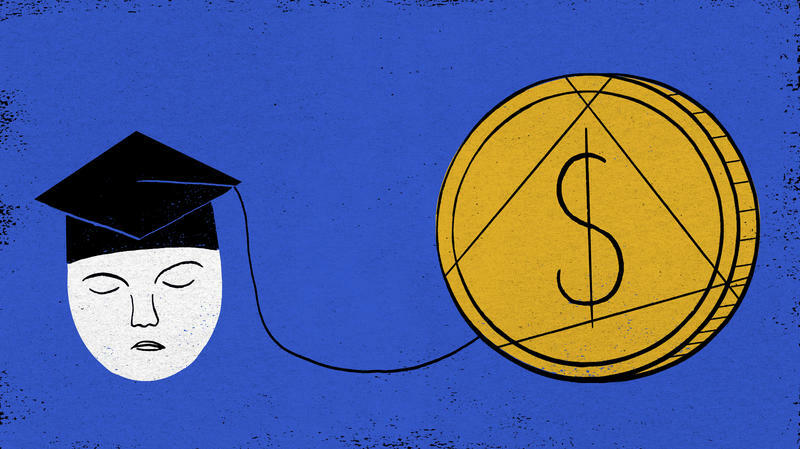 Hear from students presenting their projects. 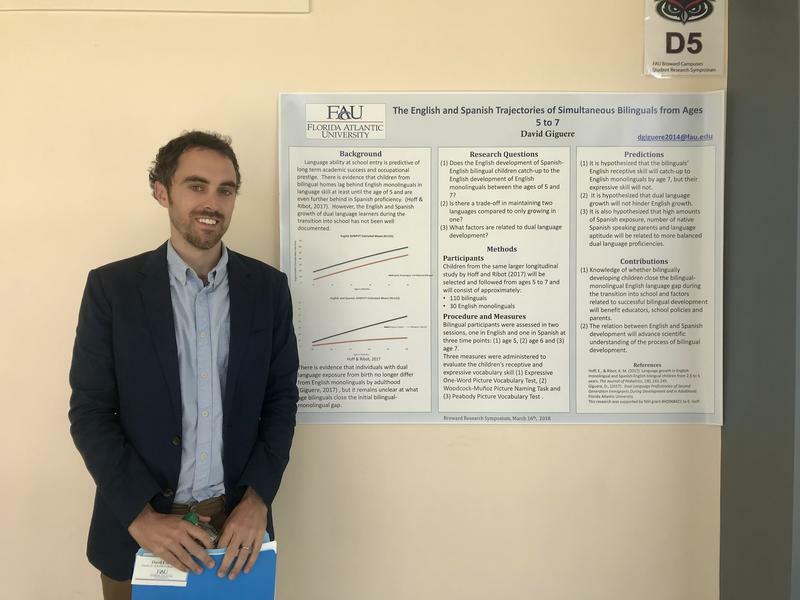 From the FAU Department of Psychology, doctoral candidate David Giguere is looking at something completely different: experimental developmental language psychology. Tasso Cocoves won for his project, which is titled: "Nesting White Ibis Prey Composition of Coastal Colonies in Everglades National Park." 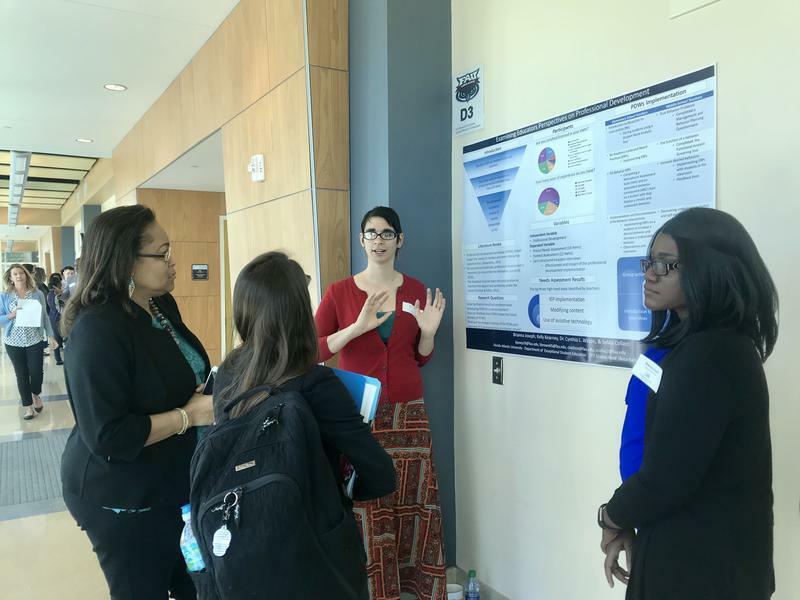 Tolbey Bain won for her project: "Targeting the Crosswalk Between Diabetes and Prostate Cancer with Metformin and Genistein Isoflavone Combination Regime."